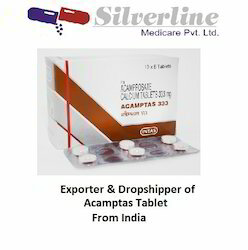 Acamprol (Acamprosate) is used to help reduce alcohol dependency in alcoholic patients who have decided to quit their addiction. Alcoholism can affect the chemicals in your brain by unbalancing them, and this drug does its job by restoring these chemicals to their former state. Acamprosate works by helping the brains of people who have drunk large amount of alcohol to work normally again. It blocks the need for alcoholic drinks. You can take with or without food. Usually prescribed three times a day. Taking it with breakfast, lunch, and dinner may help you to remember all three doses. Take it exactly as directed by your doctor. Do not take more or less of it. It helps to prevent you from drinking alcohol only as long as you are taking it. Continue to take it even if you do not think you are likely to start drinking again. Do not stop it without talking to your doctor first. Swallow it whole. Do not chew, break, or crush. Feeling lightheaded, sleepy, having blurred eyesight, or a change in thinking clearly, headache, upset stomach or throwing up, loose stools (diarrhea), stomach pain, nervous and excitable. Do not take the drug if you had an allergic reaction to the medication in the past. 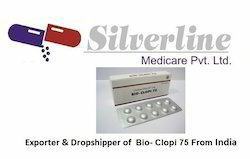 Stop taking this drug and seek emergency medical attention if you experience an allergic reaction (difficulty breathing; rash; wheezing; itching; closing of your throat; swelling of your lips, tongue, or face; or hives). Seek help if you experience signs of low mood (depression), thoughts of killing yourself, nervousness, emotional ups and downs, thinking that is not normal, anxiety, or lack of interest in life; Change in thinking clearly and with logic; Any rash; Side effect or health problem is not better or you are feeling worse. A missed dose can be managed by providing 1 tablet per day each day till the next regular dosage-administration. Naltrexone administered to -dependent persons can cause life-threatening withdrawal symptoms. Patients suspected of using or being addicted to must undergo a provocation test (see section 4.4), unless it can be verified that the patient has not taken any for 7-10 days (urine test) prior to the initiation of treatment with naltrexone. As Naltrexone is an adjunctive therapy and the full recovery process in -dependent patients is individually variable, no standard duration of treatment can be stated; an initial period of three months should be considered. However, prolonged administration may be necessary. 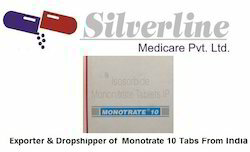 The recommended dose for alcohol dependence to support abstinence is 50 mg per day (1 tablet). A dose of over 150 mg on any single day is not recommended, since this can lead to a higher incidence of side effects. The dosage-regimen can be modified in order to improve compliance to a three-times-a-week dosing schedule as follows: administration of 2 tablets (=100 mg naltrexone hydrochloride) on Monday and on Wednesday and 3 tablets (=150 mg naltrexone hydrochloride) on Friday. Naltima 50 mg tablets contain the active ingredient Naltrexone, a medication prescribed for addiction to alcohol and drugs. Naltima can be prescribed with other medications or by itself. 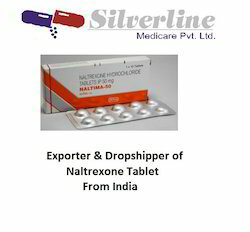 Naltrexone works by blocking the receptors in the brain to obstruct the effects of alcohol or drugs. Naltima is a therapeutic drug used to treat alcohol or drug dependence. 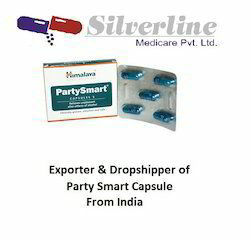 Intas manufactures Naltima, it is available in 10-pack tablets. Before taking Naltima it is important to tell your doctor what drugs and medications you are taking, this includes prescription, over-the-counter, and illegal drugs. Treating alcohol addiction by helping certain patients to avoid alcohol. 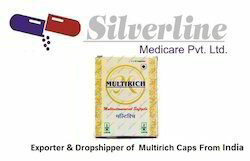 Acamprosate is used in combination with a treatment program that includes social support. Acamprosate is an anti-alcohol agent. It is thought to work by restoring the balance of certain chemicals in the brain of patients who have used large amounts of alcohol. 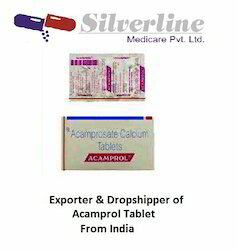 Some MEDICINES MAY INTERACT with acamprosate. However, no specific interactions with acamprosate are known at this time. This may not be a complete list of all interactions that may occur. Ask your health care provider if acamprosate may interact with other medicines that you take. Check with your health care provider before you start, stop, or change the dose of any medicine. Use acamprosate as directed by your doctor. Check the label on the medicine for exact dosing instructions. 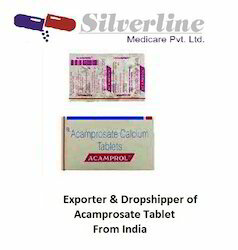 Acamprosate may be taken with or without food. Continue to take acamprosate even if you feel well. Do not miss any doses. If you miss a dose of acamprosate, take it as soon as possible. If it is almost time for your next dose, skip the missed dose and go back to your regular dosing schedule. Do not take 2 doses at once. Ask your health care provider any questions you may have about how to use acamprosate. Looking for Alcohol De Addiction Medicine ?